Kerry also claimed that President Barack Obama has done more than any other American President for the security of the state of Israel, just days after the United States abstained from a vote on a United Nations Security Council resolution that deems Israeli settlement activity within territory claimed by the Palestinians illegal. “Like the resolution that John Kerry advanced at the UN [Security Council], John Kerry gave a skewed speech against Israel. For over an hour, Kerry dealt obsessively with the settlements and almost didn’t touch on the root of the conflict — the Palestinian opposition to a Jewish state in any boundaries,” a statement from the Prime Minister’s Office says. We cannot continue to let Israel be treated with such total disdain and disrespect. They used to have a great friend in the U.S., but……. Why does @JohnKerry need as much as 70 minutes to prove that he’s an idiot? 5 min. would be quite enough. This is why he fails everywhere. @JohnKerry You hypocrit, defending the values of the USA? Like your incompetent leader, your are trying to destroy the USA. 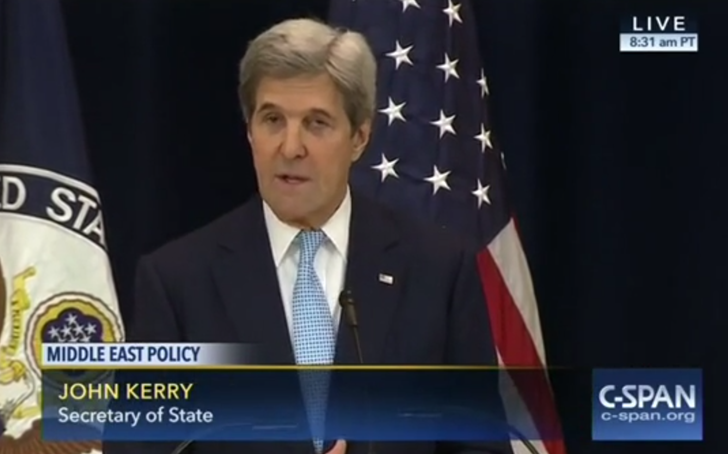 Didn’t think it possible to dislike @johnKerry more…egotistical, arrogant, embarrassing, sad. @HonestReporting @ynkutner Nearly 1 attack stopped every other day! @BarackObama & @JohnKerry are dumb enough to consider this “stable”.